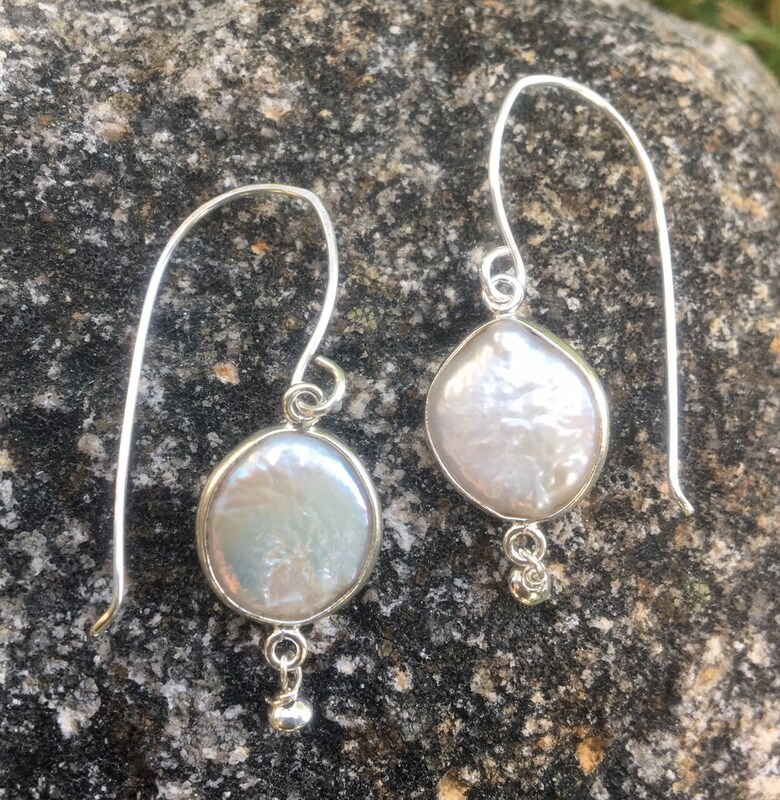 These sterling silver earrings have shimmering genuine coin (freshwater) pearls. 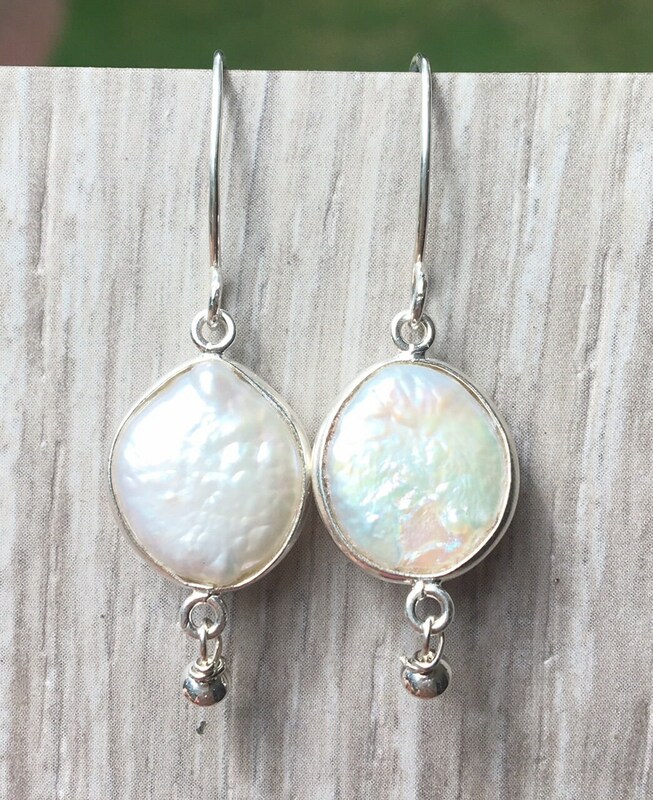 Each pearl is framed with a sterling silver frame. 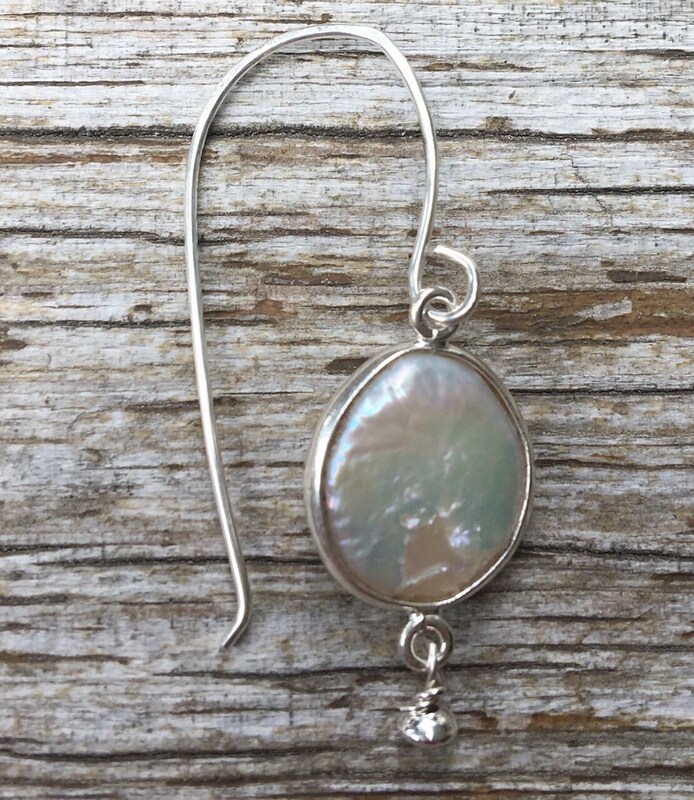 A dainty sterling bead has been hand wired to each pearl frame. I created these earring wires using sterling silver wire. I shaped, hammered, & formed these one of a kind wires. 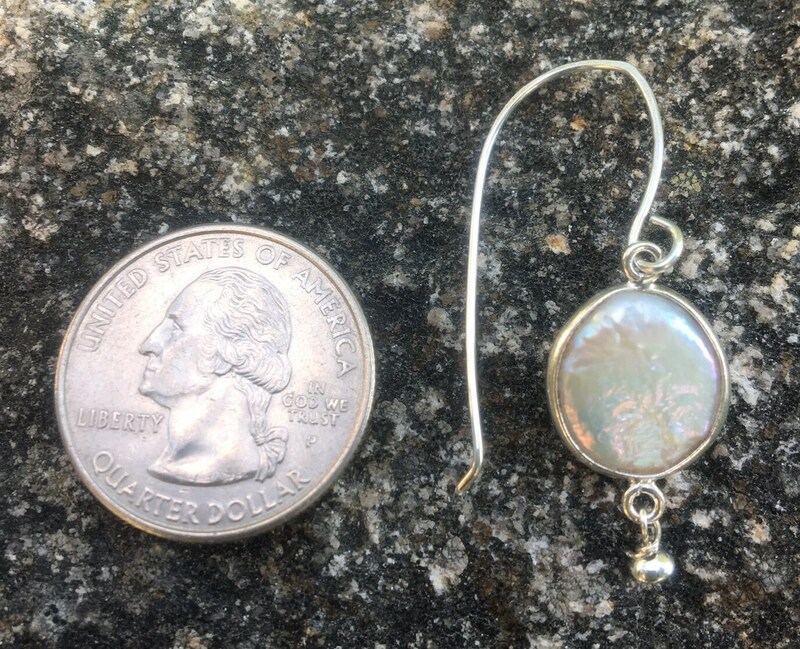 Each earring measures 1 5/8" long & 1/2" wide. Each pearl is individual in shape so they will take on their own look but still match nicely. You will receive this exact pair of earrings. Thank you!